Samsung’s prestigious Galaxy series now expanded its marvelous creation in Tablet designs which is most populous position in our economy. Now in India, the Samsung Company announces Galaxy Note 510 (8.0) tablet, an awesome creation for new generation. The Samsung Galaxy Note 8.0 is named as the Note 510 in India. Galaxy Note 510 comes with an 8-inch WXGA TFT Capacitive touch display with 189 ppi (pixels per inch) density. The display resolutions of the handset will be a decent quality which is 1280 × 800 pixels. The device has running on Android 4.1.2 Jelly Bean operating system which is the latest Android platform for mobiles. The Samsung Galaxy Note 8.0 tablet has a 5 megapixels rear shooter with LED flash and auto focus. There is also a 1.3 mega pixels front camera which is for video calling needs. The Tablet also sports 2GB of RAM and is powered by a 1.6 GHz quad-core processor with inbuilt graphic acceleration. The internal storage capacity of the device has enables 16 and 32GB variants which is expandable up to 64GB via micro SD cards. 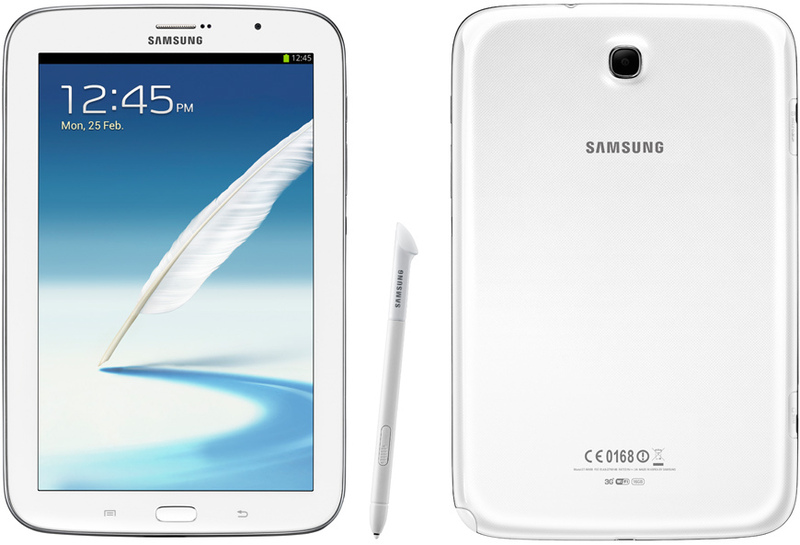 Samsung Galaxy Note 8.0 tablet carries 4,600mAh battery with a sufficient talk time. 3G, Wi-Fi, Wi-Fi direct, Bluetooth 4.0, USB 2.0, A-GPS, GLONASS etc. are the main connectivity features. The touch display features enables Accelerometer, Digital Compass and Proximity sensors which are provides an amazing technology experience. Samsung Galaxy Note 7 GT-N5100 is the new 7.7 inches tablet launches with 1280 x 800 pixels resolution and 216 pixels per inch density (ppi). The touch display provides the second generation features which will attract the customers. According to the GLBenchmark website, the tablet will be launch with a 1.6GHz Samsung Exynos 4412 processor with built in graphic acceleration. Samsung Galaxy Note 7 GT-N5100 runs Google’s latest Android 4.1.2 Jelly Bean operating system. The 4.1 Jelly Bean will be replaced by 4.2 Jelly Bean when the device launches. The tablet also enables the most advanced connectivity options. The 3G –Wi-Fi tablet also rumored 5 mega pixels camera for video calling options with auto focus, Geo tagging features. Samsung just announced the official release of its second edition Galaxy Note named Samsung Galaxy Note 2. The main attraction of the device is its operating system which is the latest Google Android 4.1 aka Jelly Bean. The Korean company has officially declared its launch at IFA (International Federation of Agencies –Global Conference), Berlin, Germany. According to Samsung, Galaxy Note 2 Phablet comes with attractive features. 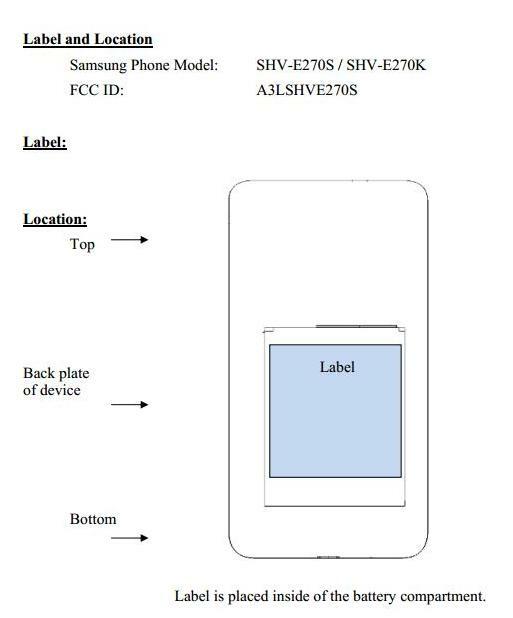 The Samsung Galaxy Note 2 has designed more thinner than Samsung Galaxy Note. Samsung Galaxy Note 2 has a brilliant 5.5-inches Super AMOLED HD Capacitive Touch Screen display with high resolution which enables crystal clear visual experience. Samsung Galaxy Note 2 powered by 1.6GHz quad-core Processor with graphic acceleration. The quad-core processor helps to play advanced mobile games more vibrantly. Samsung Galaxy Note 2 has 2GB of RAM and 16 GB internal memory. 32 and 64 GB models will available in the market. The device also comes with 8MP main camera which fixed on the rear. The handset has 1.9MP front camera for video chatting. Samsung Galaxy Note 2 powered by an extra durable power pack Standard, 3,100 mAh battery which is comparatively fulfill huge needs. Advanced connectivity options like 3G, Wi-Fi, USB, HDMI, Bluetooth, GPRS, S-Pen, Air View, Popup Note, Quick Command and Screen Recorder are available. Samsung Galaxy Note 2 will release in two color variants such as Marble White and Titanium Gray. According to Samsung, Samsung Galaxy Note 2 will be available first week of October this year. The tablet version of the Galaxy Note called Galaxy Note 10.1 released this month. Samsung Galaxy Note 800(Galaxy Note 10.1) is the premium Tablet from Samsung which enable stunning performance and vibrant quality. The Tablet has launched recently in India for Rs. 38500/-. Now only 16 GB internal memory model is available in the country. 32 and 64 GB models will available soon. The Samsung Company climes that Samsung GALAXY Note 8000(GT-N8000) is a new concept of device enhancing productivity, creativity, and learning capability. The main identity of the Tablet is its awesome S Pen which helps you to get a tremendous experience for lettering, sketching, drawing, and other forms of creative expression. 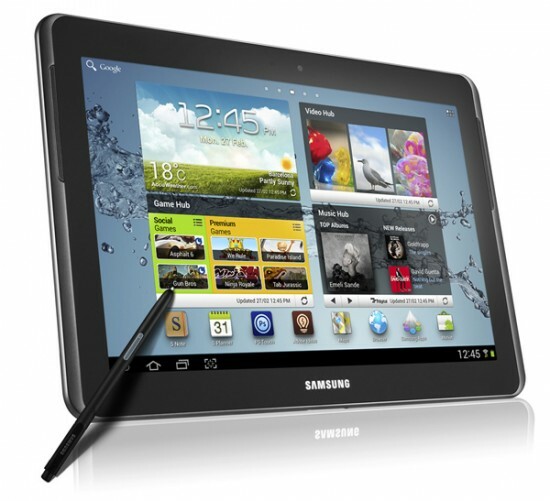 Samsung Galaxy Note 800(GT-N8000) has a brilliant 10.1 inches (25.66 cm) WXGA TFT Capacitive Touch Screen with 1280 x 800 Pixels Resolution. Samsung Galaxy Note 800 powered by 1.4 GHz Quad Core (Core Exynos 4412) Processor which will enable a tremendous performance especially in multi-tasking. Samsung Galaxy Note 10.1 (GT-N8000) runs with Google Android v4.0.3 (Ice Cream Sandwich) operating system which includes latest features of connectivity. The Tab comes with 2 GB of Ram and 16GB of internal Memory. Samsung Galaxy Note 10.1 (GT-N8000) has 5MP main Digital camera and 2MP front facing camera. The device has an S-Pen for doodling notes. Samsung GALAXY Note 8000(GT-N8000) is powered by Standard, Li-Ion 7000 mAh battery which provides up to 71 hours(around 3 days) talk time and 2230 hours( around 93 days) standby time. The new Samsung GALAXY Note 8000 (GT-N8000) has a brilliant 10.1 inches (25.66 cm) PLS TFT Capacitive touch screen with 16M colors and 800 x 1280 Pixels Resolution. Samsung Galaxy Note 10.1 (GT-N8000) comes with 1.4 GHz Quad Core Processor and Mali-400MP inbuilt Graphic processor. Samsung Galaxy Note 10.1 (GT-N8000) has Google Android v4.0.3 (Ice Cream Sandwich) operating system which includes awesome features. The tab has 2 GB of Ram and 16GB internal Memory (available 32GB and 64GB internal memory models) Samsung Galaxy Note 10.1 (GT-N8000) comes with 5MP main Digital camera and 2MP front facing camera. The device has an S-Pen for doodling notes. Samsung GALAXY Note 8000(GT-N8000) is powered by Standard, Li-Ion 7000 mAh battery. 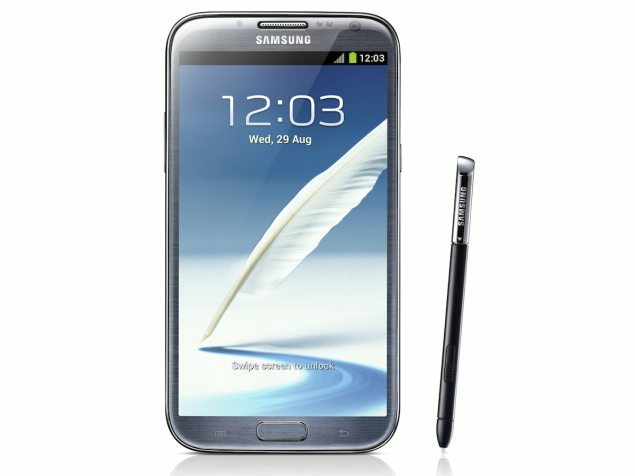 Samsung GALAXY Note 8000 is released in India On 24th August 2012. The company has launched the Galaxy Note 10.1 tablet in US, at $499 for 16GB of storage and $549 for 32GB of storage. Now in India Rs. 38500/- for 16 GB of storage model. 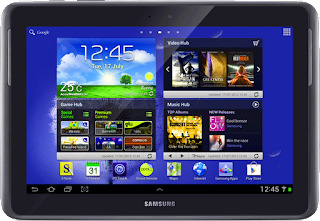 Samsung Galaxy Tab 680 compare with Apple iPod, performing a fabulous role in the field of Tablet. Samsung claims it is the First Super AMOLED plus Tablet. The Super AMOLED plus is an internal display technology for use in mobile devices- delivering brilliant colours for you. You can use to read your favorite fiction or anything more easy. Inside the device Powerful 1.4GHz Dual core processor works with a powerful technology. Android 3.2 Honeycomb platform used in the device. Samsung Galaxy Tab 680 is in 3G Band. 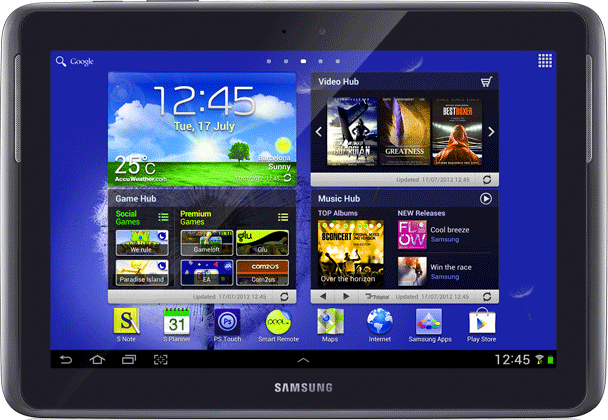 Samsung Galaxy Tab 680 power-driven by 1.4 GHz Dual Core Processor. The device allows us continues multitasking. It is more vibrant than any other Smart phones. Entire Google services especially familiar applications available in the device. The Google Mobile Applications work smoothly in Samsung Galaxy tab 680. such as Google Talk, G mail, Google Calendar, YouTube, Android Market, Google Maps, Google Latitude, Google Places and Google Maps etc. These applications represent Google’s remarkable performance in the field of mobile phones. 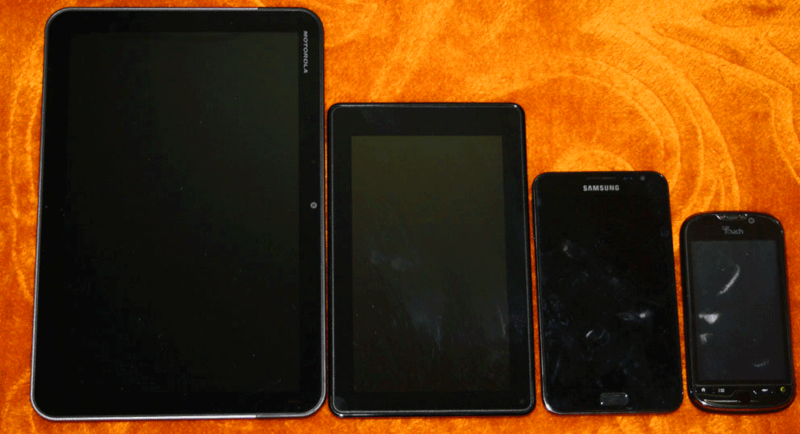 The Samsung Galaxy Tab can compete with Apple iPod. In the field of camera Multi codec supported. The capturing format is full HD. 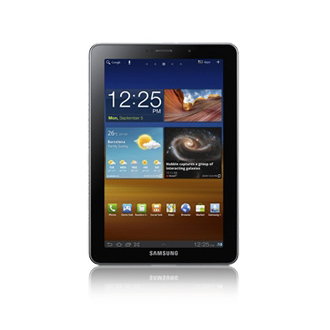 Samsung Electronics Co., Ltd. expanding their popular GALAXY series, introduced new Samsung GALAXY Tab 2 310. This is a seven inch device and offer more facilities than the same family mobiles.Which is the upper grade version of Samsung GALAXY Tab 620.The GALAXY Tab 2 310 is powered by a 1GHz dual core processor. Available in 3G and WiFi versions, Light and portable,the GALAXY Tab 2 310 is the perfect on-the-go device. Samsung Electronics Co. Ltd representatives said that ‘Samsung’s vision is to offer a variety of choices to match the varied needs and lifestyles of consumers.’ On March 18,2012 Samsung conducted a function to unveiled the device, They announced GALAXY Tab 2 310 would be available in South West Asia from April. Now the Device is available in our Market. GALAXY Tab 2 310 is their first 4.0 version Android. It improved features of Android OS and new powered tablet. GALAXY Tab 2 310 includes Google Play™. Improved web browsing features can control faster response times and more intuitive UI with upgraded swipe control applications. HSPA+ 21Mbps or Wi-Fi connectivity will enhanced new operating system of the device.